These pliers are amazing. Every corsetiere who hasn't got a professional eyelet press, should have a pair of these. No more headaches, no more strain, no more bruised thumbs! 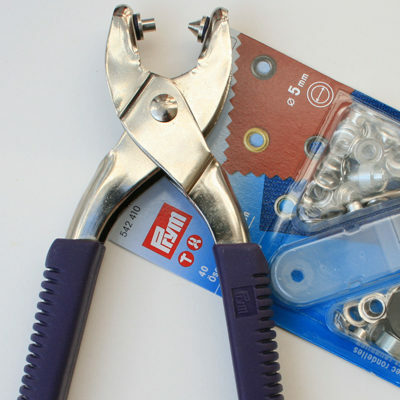 Prymm vario pliers are designed for use with Prymm eyelets (and poppers), they come with a little cutting tool which cuts holes of 3mm or 4mm. The cutting tool is exchangable for the dies provided in each Prymm eyelet/popper kit. Making holes and inserting eyelets is as easy as cutting through a knob of soft butter. 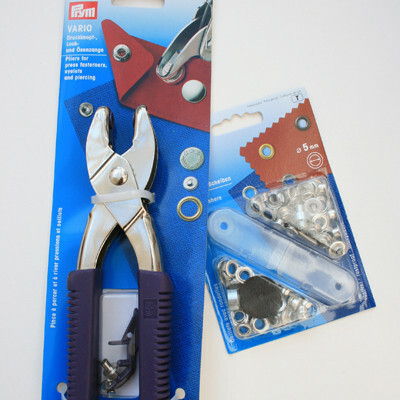 For years I battled with my hammer thinking these would be no better than my useless leather hole punch, but I was wrong! Try them for yourself, you won't be disappointed!